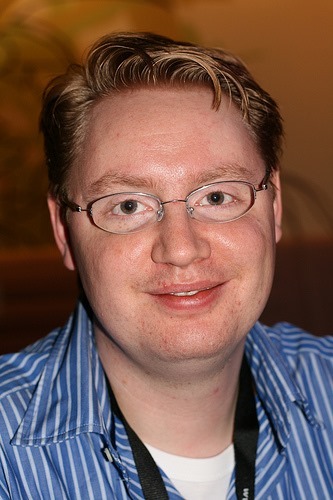 Stefan Esser, also known throughout tech space as i0n1c, is without a doubt, one of the most talented iOS hackers around. While the Cydia community has been working tirelessly to find a jailbreak for the brand new, Retina-displaying iPad running the latest firmware, Esser has been ahead of the game since day one, and no sooner did he get his new device home, than he released pictures on Twitter of his achieved jailbreak. Unlike the rest, he has decided against releasing the jailbreak publicly, and as such, has suffered quite a bit of abuse. Some have presumed he’s an egotistic show-off who simply enjoys taunting those looking for what he has. Likened often to Geohot, who was also criticized somewhat for being rather big-headed (a little more justified, perhaps, given his rap slandering Sony’s team of lawyers), i0nic spoke in an interview with iSpazio, in which he offered his reasoning behind keeping exploits to himself, as opposed to releasing them immediately for public consumption. He distanced himself entirely from any form of piracy – a large black cloud hanging over the jailbreak community. The likes of Installous, as well as the many, many repositories charging money for access to copyrighted materials, is, unfortunately, one of the main reasons folks love to jailbreak, but these are not the primary reasons why Esser chooses not to release the tools to appease the masses. He rather believes, that the community is falling foul to something a great deal more concerning – an infestation of, what he calls, "leeches". A lot of the time, particularly on Twitter, Esser found himself inundated with rude messages from ungrateful users who felt some sort of entitlement to the jailbreak – forgetting the hard work that had gone into producing it. While the lack of freedom on iOS is certainly a just cause to moan a little, users know what they’re letting themselves in for when buying an iOS device, so the work of the Cydia community should certainly be appreciated – not taken for granted. Esser notes how he’s been barraged with messages along the lines of "Without us you are nothing, we follow you on Twitter and we’ve made [you] famous," and such outbursts are the reason the first, and as yet, only man to jailbreak the new iPad, hasn’t considered sharing it with the world. So, next time you decide to berate and curse a developer who is working hard to find exploits or jailbreaks, maybe you will think twice and remember that it is those individuals keeping the scene alive. Geohot is rumored to have left for the same reason, and if the trend continues, what is currently a thriving and active community could very quickly implode.